At A Scents of Scotland, we value the security of our customer’s personal information and take all reasonable steps to ensure it is protected at all times. We will collect some information from you in order to process your order, and also to ensure we can deliver the best possible service to you and keep you up to date with special offers. The information we will collect includes: Your name, address, phone number, and email address. Also, when you check out your shopping basket, you will be asked for your payment information, however we never get to access this information as it is collected securely by our payment service provider, Stripe when paying by card, or PayPal when you choose to pay using PayPal. You are entitled by law to ask us to stop sending you marketing emails, and to request a copy of the information we hold about you. To do this, please just send us a contact form from our get in touch page. We will never share your information with a 3rd party without your prior explicit consent. Any information we collect or retain about you will be done so in accordance with the Data Protection Act 1998. Our Payment Service Provider is Stripe – one of the largest independent payment service provider (PSP) operating in 25 countries worldwide. Stripe provides a secure payment gateway (Level 1 PCI DSS), processing payments for thousands of online businesses, including ours. It is Stripe’s utmost priority to ensure that transaction data is handled in a safe and secure way. Stripe uses a range secure methods such as fraud screening, I.P address blocking and 3D secure. Once on the Stripe systems, all sensitive data is secured using the same internationally recognised 256-bit encryption standards. In addition, you know that your session is in a secure encrypted environment when you see https:// in the web address, and/or when you see the locked padlock symbol alongside the URL. 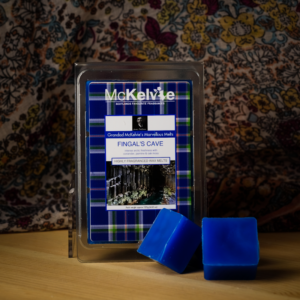 So when buying through A Scents of Scotland’s site, you can be sure that you are completely protected.